There are places where the Langstroth-type hive is suited to local conditions – where bees are fairly docile, where farmers can afford this type of hive (plus the extractors and other equipment needed to harvest the honey) and where yields of honey justify investment and management; but unless a few basics are recognised, beekeepers (and the organisations that support them) can get themselves into a bit of a gummy mess. 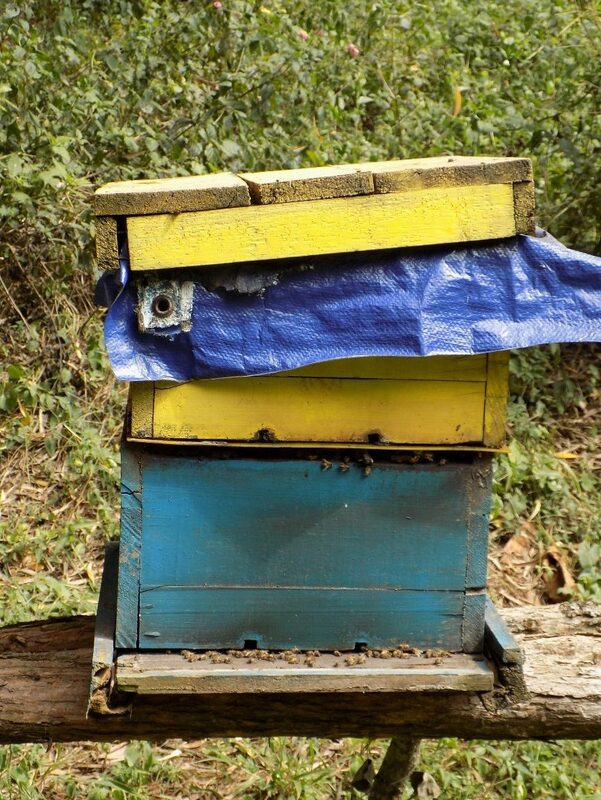 Beekeeping in Rwanda is a bit of a mixed bag. I met some excellent beekeepers in the country, especially in Nyaruguru district, near to Butare, in the south. Many cooperatives use a mix of traditional, top bar and Langstroth hives; and they manage their apiaries, and their hives and their bees. They keep everything clean and tidy, specialise in beekeeping and have made it their main occupation. They are lucky. 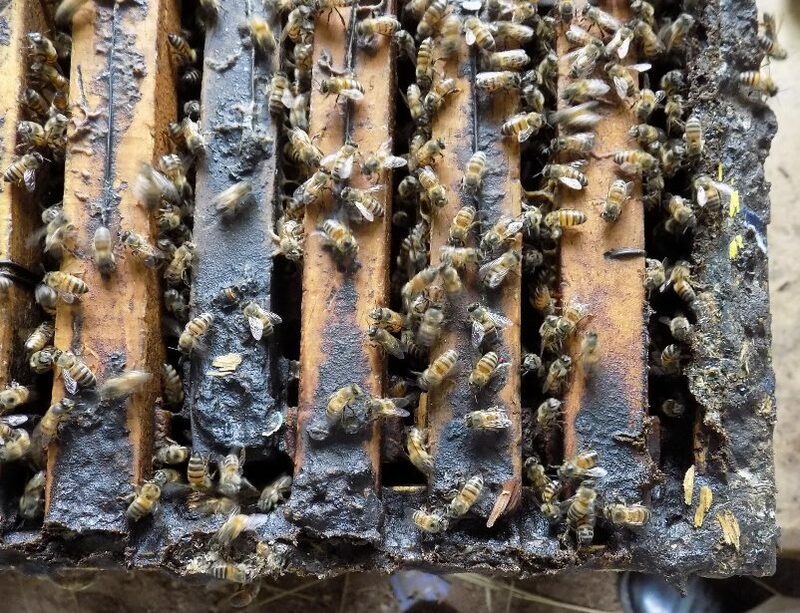 Like most parts of Rwanda, their bees are nice and gentle, there are commercial companies working with them (providing hives and bee-suits and support), and the local countryside can provide good yields of high-quality honey. But not everyone in Rwanda is doing so well. Look at the photos. They were all taken in another district, in Rusizi. Picture 1 shows a yellow brood box on top of a blue brood box on a blue floor. 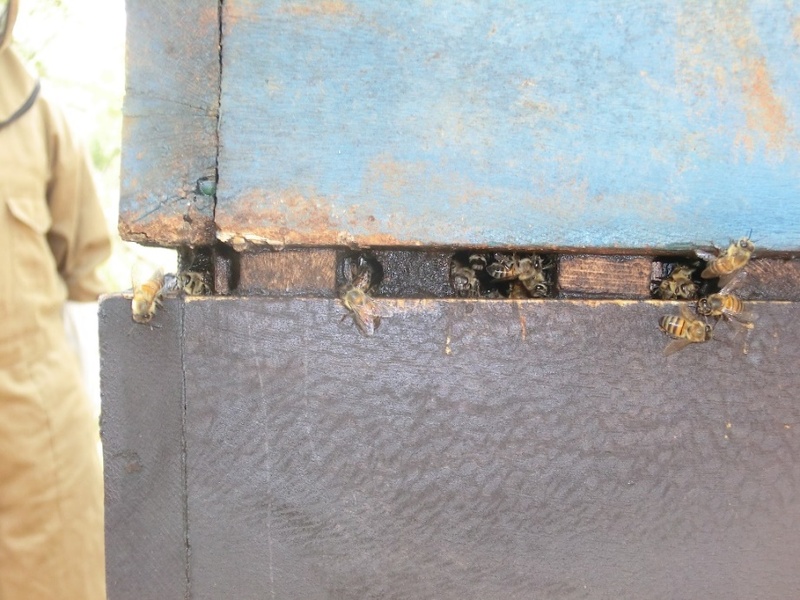 This photo demonstrates one of the biggest practical problems for beekeepers using Langstroth-type hives in Africa. It illustrates a series of problems. The blue floor is too big for the blue brood box, so the brood box cannot fit properly on the floor. Therefore, the hive slopes, the entrance is narrower on one side, and there are gaps along the back. The yellow brood box on top is yet another size – it’s narrower than the blue one. Although it just-about fits on the blue box, look along the front. The yellow box is shorter so there’s a gap. Can you see where the bees are going in and out? There are so many gaps in this beehive that I wonder how the bees manage to look after their brood-nest and honey. Imagine what happens in a rain storm. The rain will go straight into the blue brood box along the gap left by the yellow one, especially if the wind is blowing it sideways. And the rain will fall onto the floor, then run inside the hive. Now look at Pictures 2 and 3. The two brood boxes are the same size, but there are lots of gaps between the top one and the bottom one. The gaps are evenly spaced. Although the two brood boxes are the same, the frames must have been taken from a different sized box. They are too big. The result – the bottom of the top brood box is not resting on the top of the bottom box. In fact, it’s resting on the frames in the bottom brood box as these frames stick out over the edge. Because the frames are too big, the hive cannot fit together properly. What is the problem with that? Is it just that the trainer is fussy about the hive looking nice?A Langstroth-type hive has lots of parts that need to fit together properly. More parts; more to go wrong! Holes and gaps allow bees to go in and out wherever they want; but the bees don’t LIKE to have lots of holes because other things can go in and out of the beehive as well – ants, mice, wax moths, robber bees, wasps and hornets; and the wind, dust and rain. Bees fill up the gaps to make their homes secure. They fill the gaps with propolis, which is like an insect glue. Sometimes propolis is crisp and hard, and at other times it’s gummy. Both types make a mess, and make it difficult for the beekeeper to open and close a hive. Look at the propolis in Picture 4 – the black stuff. There is loads of it. 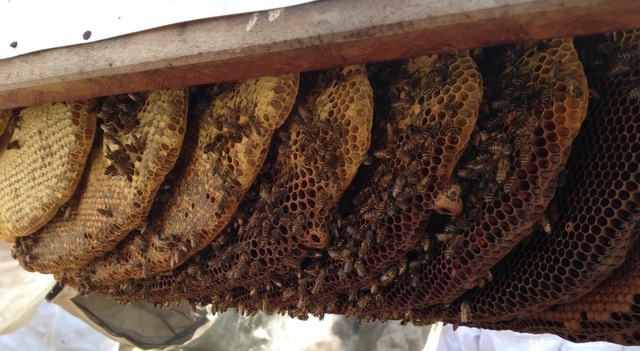 Look at Picture 5 and work out what is wrong with this hive. The floor is too big, the yellow brood box is bigger than both the blue brood box and the roof (which doesn’t fit properly either). Propolis doesn’t just make a sticky mess; it also reduces the honey crop. Bees use a lot of time, resources and energy to collect and process the materials that make propolis. When they are making propolis they are not making honey. If bees didn’t have to fill the holes created by clumsy beekeeping, they could spend more time foraging and making honey. provide training to beekeepers to manage the Langstroth-type hives effectively. make sure that any new Langstroth-type hives are the same specifications as the ones they already have (whether they are being bought by the beekeeper, or provided by a project). I spent a lot of time in Rwanda trying to decide what sort of hives should be encouraged. 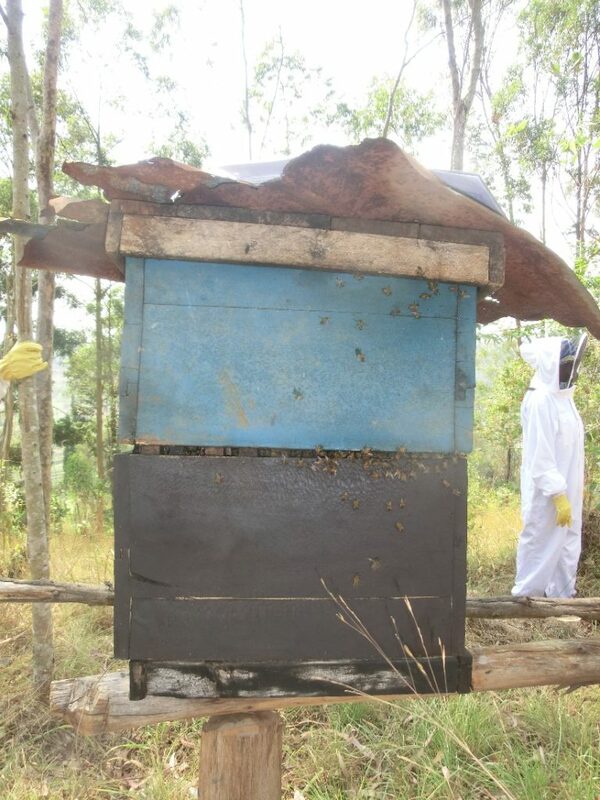 Most beekeepers have traditional hives; some cooperatives have a mix of traditional, top bar and Langstroth-type hives; and the Ministry, NGOs and companies tend to favour the Langstroths. But I think the final decision should be with the beekeepers. The Langstroth-type can work in Rwanda. The bees are fairly docile, so they can be managed quite easily; some farmers can buy or obtain this type of hive (plus the and other equipment needed to harvest the honey); and in many parts of the country the yields of honey do justify investment and management. 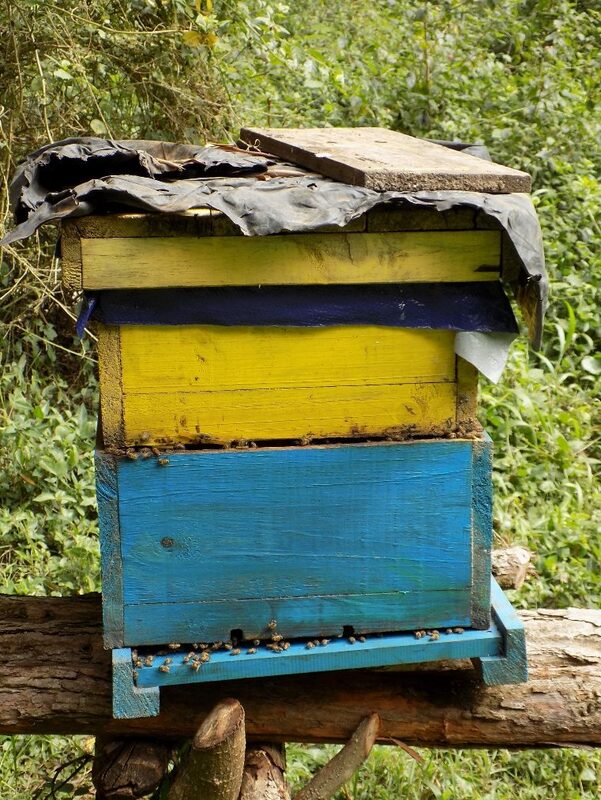 Furthermore, there are some beekeepers (like those I met in the cooperatives in Nyaruguru district in the south) who do have the commitment and management skills to take advantage of the possibilities provided by the design of the Langstroth-type hive, on order to manage bees and maximise honey yields. 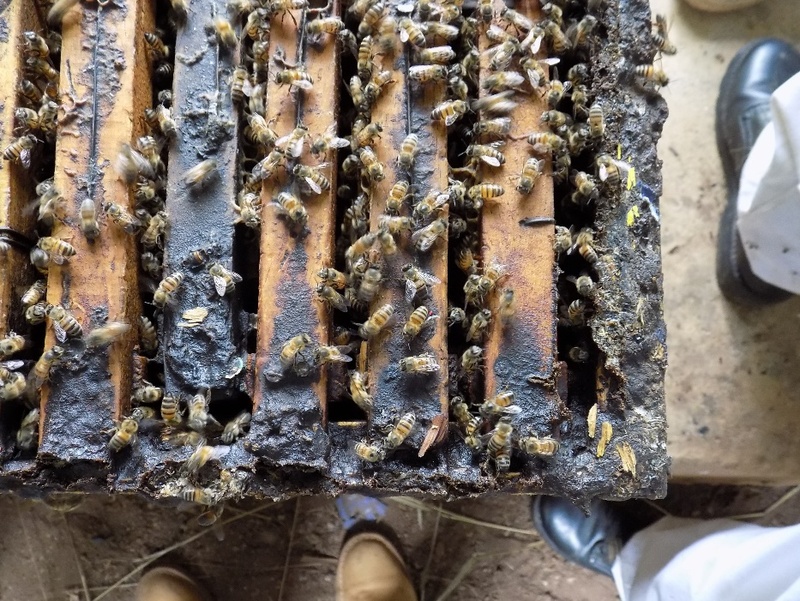 None of the Nyaruguru beekeepers’ hives were a gummy mess of propolis. Unless all these factors are in place (docile bees, good forage and good management skills) people working with beekeepers are irresponsible if they only promote expensive complicated Langstroth-type hives to people not adequately equipped, skilled and committed enough to use them. Make sure that beekeepers can (and do) manage their beehives so their bees produce what they want. The management of beehives must make sure the bees are industrious, and processing lots of honey instead of steadily blocking up gaps and turning their beehives into propolis factories. Greetings from the Rukwa Valley in SW Tanzania! From May 24th through 28th 2017 we ran beekeeper training at our Nsanga, Agriculture Training Center. What a great time we had together with our trainees Omari, Bushiri, Ray, Daudi, Celestine, Mbwana, Jafedi, Boaz, Frenki and Pius from Dar es Salaam, Mtwara and Sumbawanga! The first day of training was focused on the Theory aspects of African beekeeping. Where does honey and wax come from? What is the brood chamber? Utilizing something called a queen excluder and how does a beekeeper keep the queen from laying eggs in the honey chamber? How does a beekeeper get 100 percent occupation in his hives? How does a beekeeper attract primary swarms into his hives so that they start producing honey in the shortest amount of time possible? The second day of our training was focused on Practical aspects of African beekeeping. What effect does smoke have on bees; and how much should you use? What are the exact measurements for allowing “bee space” between the combs when working with African bees? 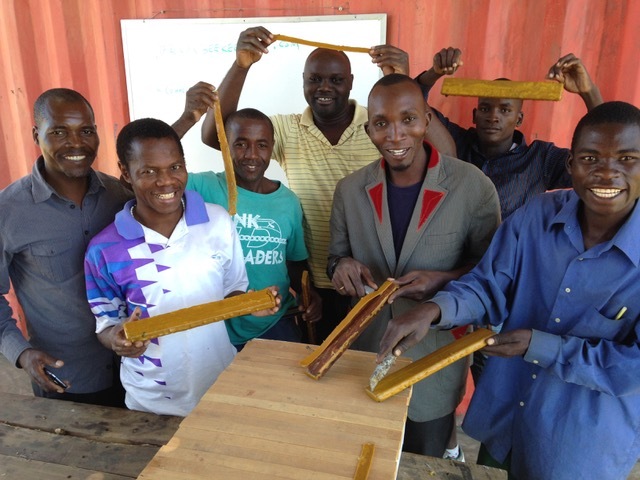 How do you make beeswax starter strips utilizing common African household materials? 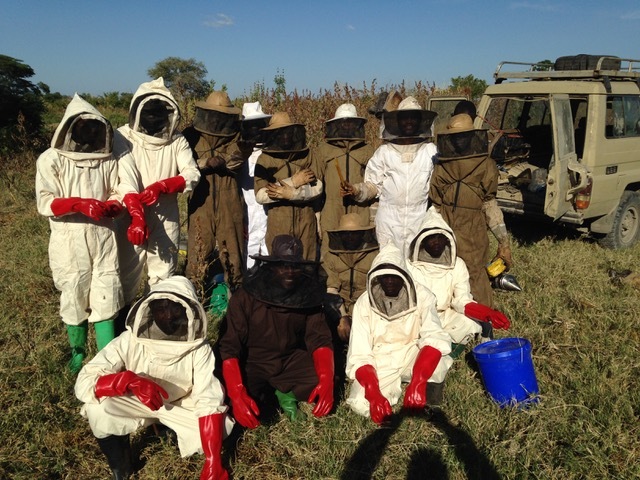 After learning these things we suited everyone up in the bee suits that they purchased and took them to our apiaries where we harvested honey together. This year we had two days of harvesting with our students. Afterwards, everyone remarked how much they enjoyed that aspect of the training. African bees can be very intimidating. 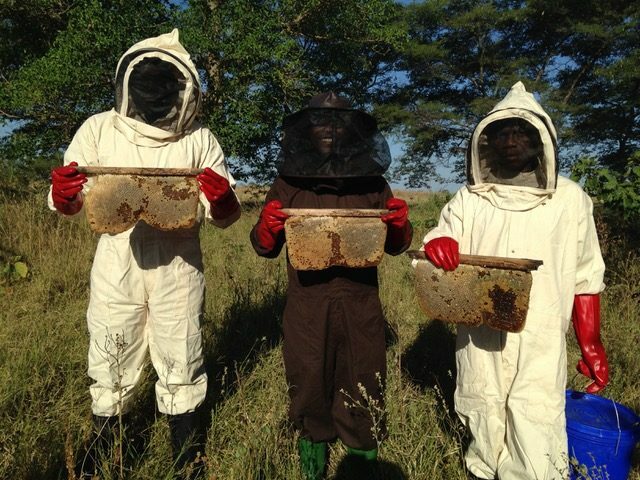 Harvesting together with a team of experienced beekeepers can do much towards instilling courage in beginners! This was an exceptional year for honey and we were fortunate to get 1.3 tons of honeycomb. When pressed this raw comb produced just under a ton of raw liquid honey. The last day of training was centered upon Processing and Packaging. This is an easily overlooked aspect of beekeeping. The general idea being that if you produce honey you have succeeded. That notion is not true, if you plan on selling the honey you have gathered. A beekeeper must decide how he or she will sell their honey. If you sell honey in bulk (by the bucket) you will almost always fail to get a good profit. Honey should be sold retail by beekeepers whenever possible. African beekeepers should form a co-op and work together when they can, so that they have more financial ability to purchase containers, boxes and labeling materials. Note: If you represent an organization and are working with African beekeepers find a way to help them get a good source of quality jars. They can pay you back for these plastic or glass jars through the sale of their honey. There needs to be a good procedure for processing raw, unheated honey, so that it will retain its volatile compounds. These are the flavors and smells that raw honey possesses. Once heated past 104 F (40 degrees C). many of these smells and flavors are lost. 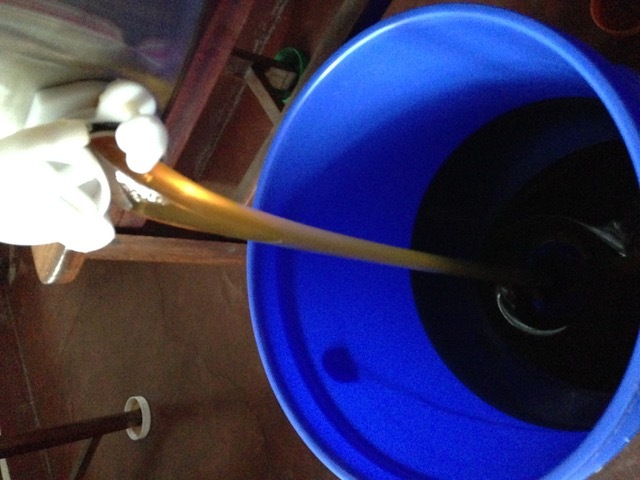 That is why one of the first questions asked of many African beekeepers is, “Is your honey raw?” To produce raw honey you must observe strict standards of hygiene. Arms must be scrubbed with soap and latex gloves worn for the pressing/crushing of comb that is done by hand or while using an extractor of any sort. During this last day of training we looked at different jars used to sell honey, talked about the registering of their honey with Tanzania Bureau of Standards as well as discussed the need for quality labels to identify your honey. We will look forward to communicating more with these men as they move forward with their perspective projects. Thank you for your interest in African beekeeping. 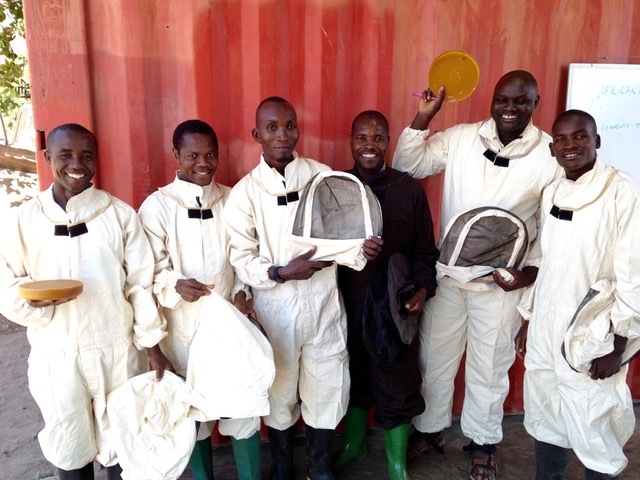 Thanks to Ted for sharing his approach to beekeeping training from SW Tanzania. We learned from ABRC’s Lessons from the Field project that beekeeping training is sometimes held in hotels and is theory only! That type of theoretical only training is useless in beekeeping. A strong practical component in beekeeping training is essential. In the training above students they spent a day of theory, two days working with the bees harvesting honey and a final day processing and packing the products. 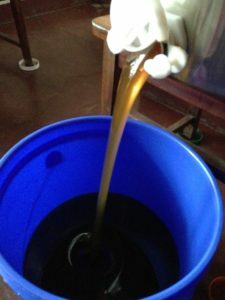 The last day processing and packing honey is also essential because marketing is such an important part of beekeeping.